Designed as a first sewing project but all ages enjoy. Students choose 3 fabrics. 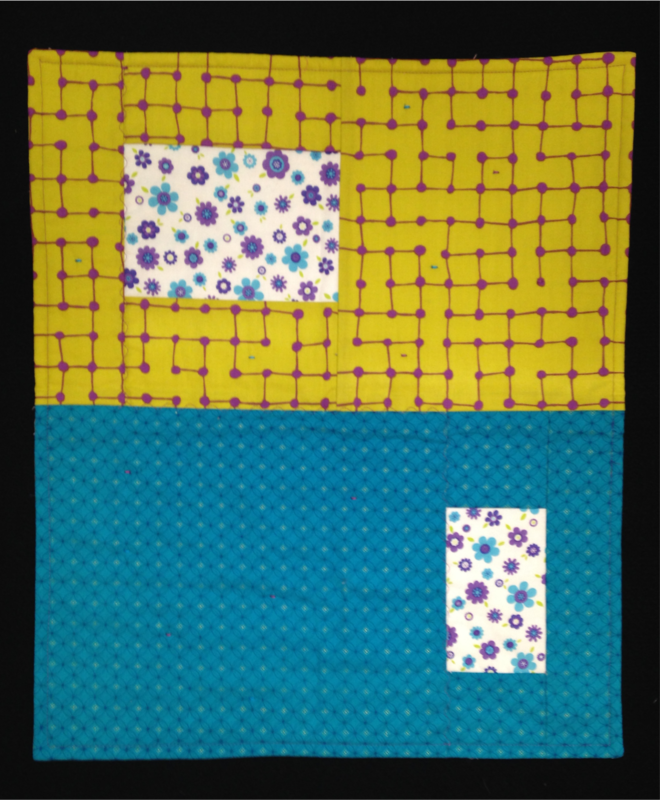 Their measuring, line drawing, cutting, sewing, pressing and quilting, creates a small "modern quilt" featuring floating blocks. Scrap Sewing.